We here at Heyo are thrilled to announce the new Heyo YouTube template! This new template allows you to pull in your YouTube profile page and display your latest content, all from your Facebook fan page. Click here to try it out for yourself! Picture this: your company has a YouTube presence that’s been generating some buzz lately, and you would like to share your awesome video content with your Facebook fans. But how? You could manually upload each video to Facebook, but that would take time that you might not have. Here’s where the Heyo YouTube template comes in. As part of our suite of social media templates, the Heyo YouTube template pulls in your YouTube profile and displays it on Facebook much the same way it appears on YouTube. Your videos display the most recent video, and allow your fans to watch videos directly from the campaign! But before we get too excited, let’s take a quick look at some of the features the Heyo YouTube template has to offer. As mentioned above, the Heyo YouTube template pulls in the videos that display on your YouTube profile. All you have to do is add your username into the channel field in the template options, and the Heyo YouTube template will do the rest for you. You can also pull in specific playlists! Just change the template settings from Channel to Playlist using the drop down menu, and enter the URL of the playlist you want to display. Once you have the template set up, you can test the video function on the preview page. The Heyo YouTube template allows fans to view your videos in a pop up window, rather than linking them to a new page! If you do want to link fans back to your YouTube page, never fear. The video function of the Heyo YouTube template works just like an embedded or shared YouTube video, and includes links back to your YouTube page. It is important to note that the Heyo YouTube template does not have a subscribe button on it, so you may want to consider including annotation that link to the subscribe page on YouTube. You’ve seen what the Heyo YouTube template brings to the table; why don’t you try it out for yourself? Click here and enter your name and email to see what Heyo can do for you. As always, we are working to bring you the best product possible. If you have any feedback we’d love to hear from you – just shoot us an email and give us your thoughts! 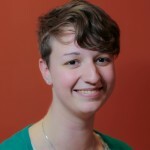 Emily Goodrich is a Technical Writer at Heyo. She is a Senior studying Creative and Professional Writing at Virginia Tech.